a story that is filled with lots of love for one man and his family…..
A rich and famous artist known all over the world for his sculptures, Bruce Jones has died at the age of 62. Bruce was loved by many. He was loved by his 5th and current wife as well as his four exes’ and a mistress plus his seven children. Bruce gave each of his wives a different color of his choosing for his own personal reasons. Bruce loved and cared for each of his wives very deeply and differently. He liked to sculpture each of them in the color he gave them. We find out who and what kind of person Bruce was through the pov of each of his wives and his seven children as well. We find out more about Bruce through the eyes of a private investigator and a Detective, plus a few more people too. We also hear what all the “wives” think about each other and their stepchildren. I love watching tv shows on the ID channel among others. But two of my favorites are James Patterson’s MURDER IS FOREVER and Betrayed. When I was reading Death of a Sculptor I kept thinking of these two shows. I know that Death of a Sculptor is fiction but I think it would fit right in with Murder is Forever with each of the wives and children playing their part. I love how Murder is Forever portrayed; like a movie or tv show instead of a documentary. I can just hear Bruce on Betrayed narrow rating his own death. I did relate to a couple of the wives in some ways as I am the fourth wife and I have never had children of my own. We are one big family with wife number two and the mother of my two wonderful stepsons and her family. Death of a Sculptor is a very short read with just enough info that will leave you wanting more because the story is so great that you just need to know more about their stories and lives. But in the end, it does leave you with that satisfied feeling that Bruce’s story is complete with no loose ends. 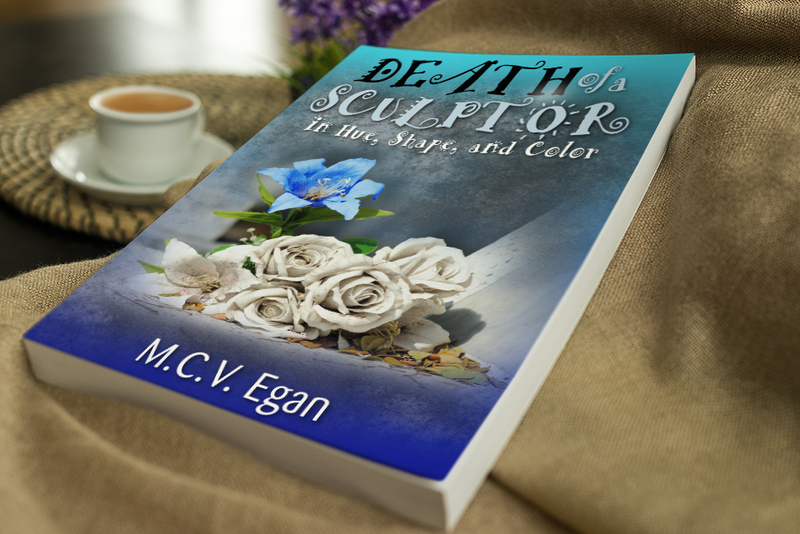 I would recommend Death of a Sculptor to anyone looking for a great read that can be read in one sitting, a story that is filled with lots of love for one man and his family and a little murder on the side.